●	This item is compatible with Nokia Lumia 730 Dual SIM only, Please note. ●	This Lumia 730 back cover is 100% original and brand new replacement, please note. ●	This Nokia Lumia 730 back door is orange, we also supply the white, black and green items, please note and choose the right color before placing the order. ●	This item includes battery door, power button and volume button. ●	Disassembly and reassembly of Nokia Lumia 730 require special tools and skills. Handle carefully! 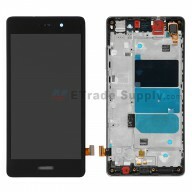 ●	The installation of the Lumia 730 back cover replacement should be done by a qualified person. ETS is not responsible for any damage caused during installation.